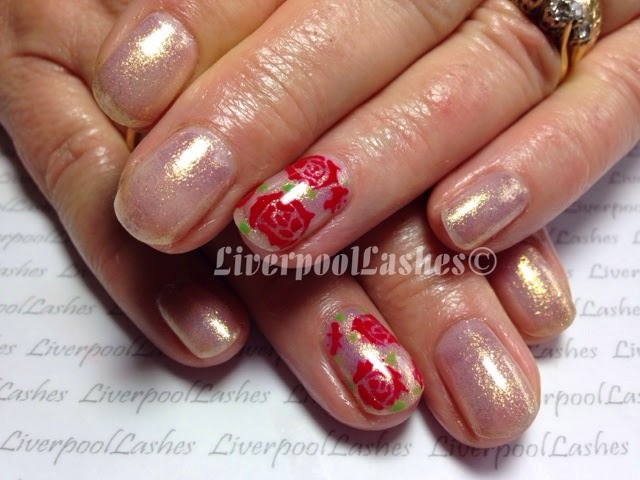 I posted a photo of my mum's nails featuring a hand drawn rose design. A few of you asked for a tutorial on it so I have put this quick video together to show you how I did it. You could even add a few Swarovski crystals in or around the rose which I think would be stunning also. Here's the tutorial - enjoy! Please don't forget to follow me on Facebook to keep up to update with the latest nail art ideas!